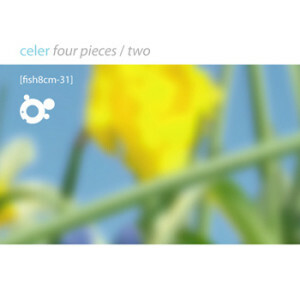 As the reaction to the first part of Celer’s Four Pieces was so amazing I thought I’d treat you all to the second part sooner rather than later. Four Pieces / Two is titled Balsam and it sits so beautifully next to the first part that you can sense the link between them. Listen to them one after another and you’ll detect a subtle shift in the tonal quality as a small hint of dissonance is added into the layers of almost classical sound. It creates a wonderful continuation of the themes in the slightly more overtly melodic Aronia and creates a similarly enveloping sense of ambience and solitude. As ever with Celer’s work it begs to be listened to uninterrupted in one sitting – preferably with the lights down low in my opinion – and enjoyed as it was meant to be.